The photos below are from the previous plant in my collection. I received this tuber 3 years ago. 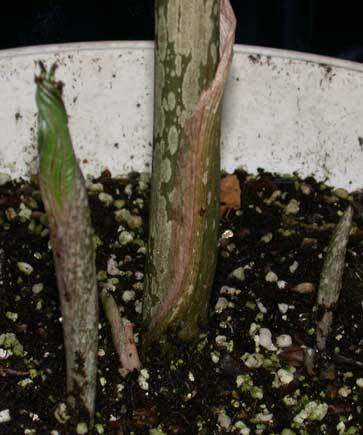 It grew one season, continued to grow at the end of that season and spent a good deal of the fall in my greenhouse. 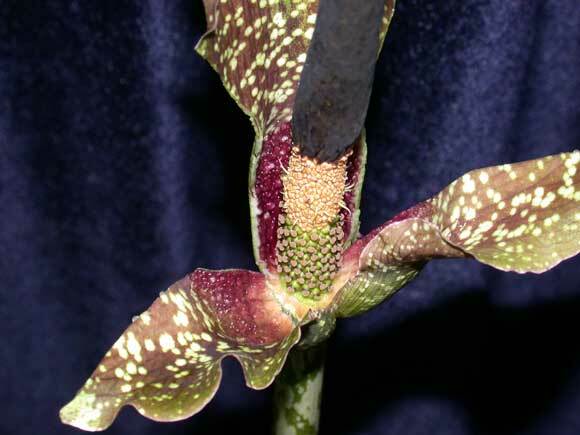 In November, 2000, the plant showed signs of impending hibernation. I allowed the plant to dry out and stored the tuber dry on a shelf. From reading about it, I've learned that taking it out of the pot makes re-initiation of growth difficult. I can now testify to that fact. It remained lifeless throughout the summer of 2000 and the next winter. In May, 2001, I decided it was time to bring it back or to consider it a fossil. I placed the tuber in soil, watered it and kept it warm. Eventually I saw a dark green-burgundy tip showing through the top of the tuber. Over a period of a month, it skyrocketed to a whole 1/2" height. Finally in early July, I saw it sending out roots. What I thought was a developing leaf proved to be an inflorescence. 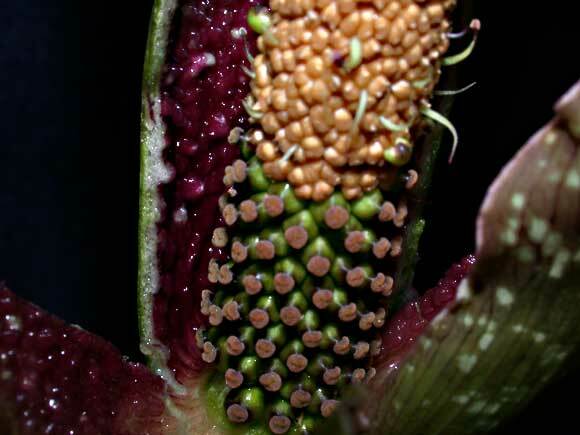 One surprise is that shortly after the inflorescence developed, leaf buds developed on the sides of the inflorescence petiole. I presume these are from small buds and not from the central point of the tuber. Although the stench wasn't pleasant, I'm pleased that it bloomed during the summer and so wasn't a source of indoor torture. 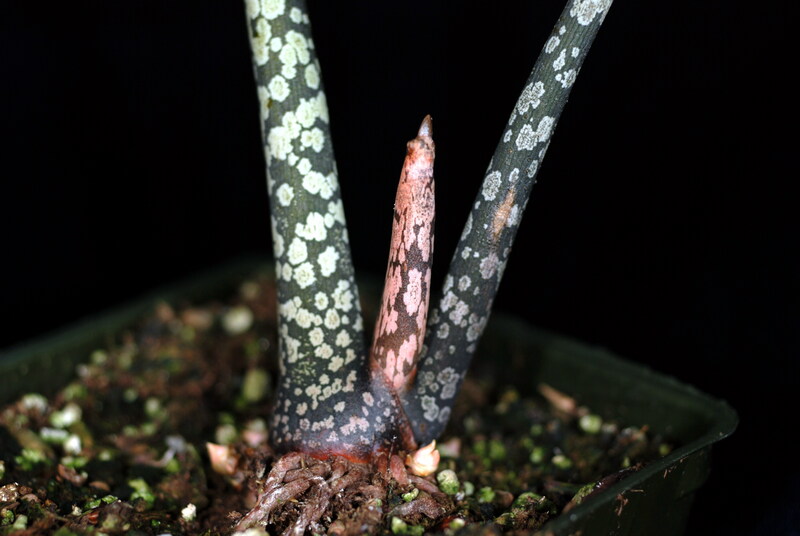 As such, it will be allowed to bloom again (as opposed to konjac).